Masajid, Islamic Organizations, and Communities can connect with each other better. Connect with Muslims and other faith communities around you by having a quality website and mobile apps. Connect with those who care for your cause using quality mobile apps and reach them from wherever they are. Help each other, ask questions, and buy/sell stuff within the community that benefits our Masajid/Organizations. Help each other, ask questions, and buy/sell stuff within the community that benefits our Masajid/Islamic Organizations. 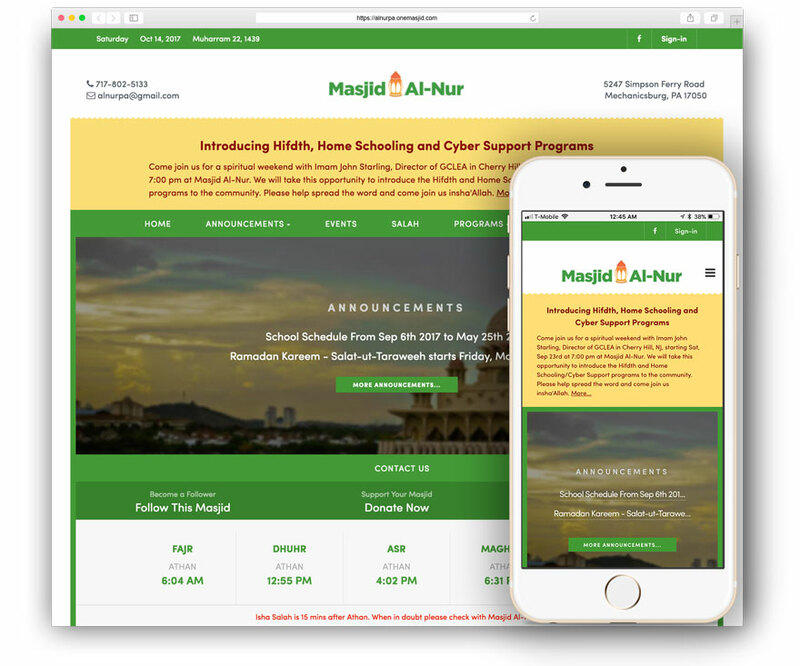 Sign-up for free and "follow"
Each Masjid/Organization will get their own domain name, like, iccl.alminaret.com , icp.alminaret.com , icnahbg.alminaret.com , etc. new website from there, like www.sabereenpa.org will take you to sabereenpa.alminaret.com. It comes with multiple color choices as well, and different layouts will be supported in the future insha'Allah. automatically notified via email and/or push notifications. enter as much detail in the textbox that's presented, tag it appropriately with "announcements"
and make sure you have the proper settings to email to your email list, and then hit "publish" to finally make that announcement. That's way too complicated, and requires some technical knowledge to maintain a quality website. With alMinaret, it's very easy for Masajid/Organizations to maintain their own website without any technical knowledge. When there's an announcement...you make an announcement. When there's an event...you publish an event. It's that simple, as alMinaret is fully tailored to meet the needs of Masajid/Islamic Organizations to maintain a quality website and mobile presence, insha'Allah. It's a free app for the communities to download, and get connected with their Masajid/Organizations quite easily, insha'Allah. 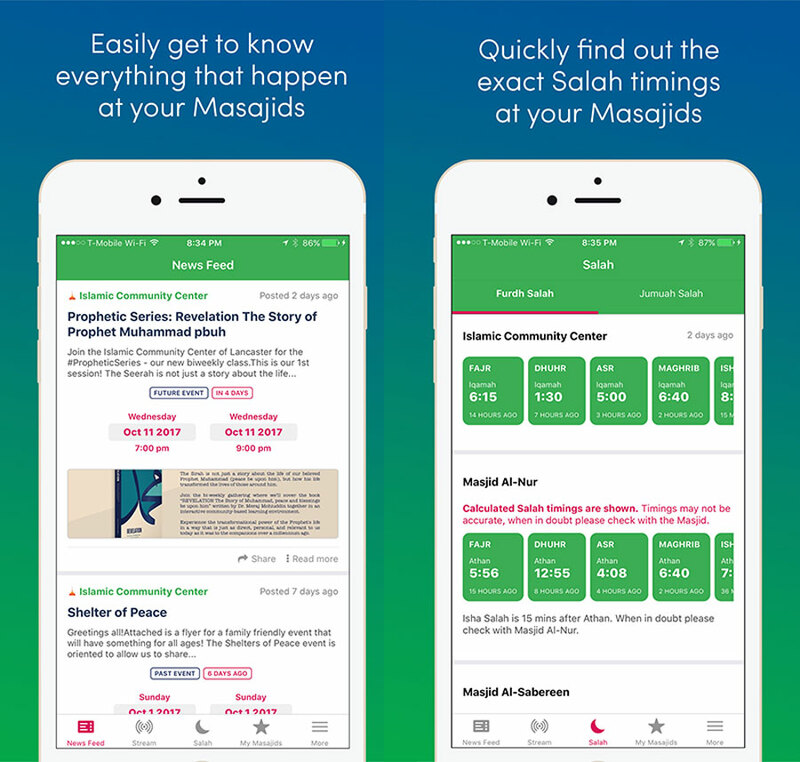 Get to know the accurate Iqamah timings at your Masajid so you can try to make it to the Jama'h, get notified of the upcoming Jumu'ah information so you can plan to attend your Jumu'ah at the Masjid you wish, mobilize people to take actions quickly for your organization with mobile push notifications, etc. and the benefits of reaching your communities via mobile apps are quite numerous, Alhamdulillah. iOS and Android apps are now available, Alhamdulillah! Please download and try the FREE apps, insha'Allah. Please go and download and give it a try, insha'Allah. Would you like to try alMinaret for your Masjid/Organization's website and mobile app needs? while you try alMinaret for your Masjid/Organization, insha'Allah. Our mission is to empower all our Masajid and Islamic Organizations to make it easy for them to connect with their communities, insha'Allah. By the grace of Allah, we believe that by making use of the technology tools available we can make it easy for Masajid and Islamic Organizations to maintain a quality online presence while making it easy for the Islamic community to maintain a closer interaction with the Masajid and Islamic Organizations they follow so they can get involved more in the activities, insha'Allah.